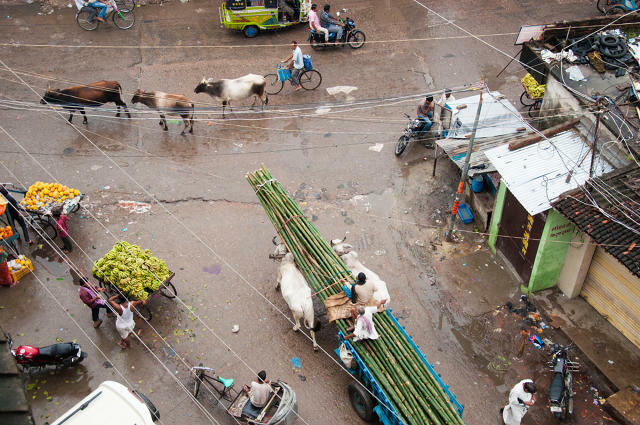 Informal settlements are producing their own resiliency efforts, and cities could learn a lot. As the aftermath of disasters that have been fueled by climate change–like hurricanes Katrina and Sandy or flooding in Southeast Asia–resiliency has emerged as one of the greatest urban design challenges to face the 21st century. Resiliency is a byword for the simple question: How quick can an urban area rebound after disaster? Many American cities have embarked upon ambitious plans to strengthen their resiliency in recent years, and some–like San Francisco, New Orleans, and Oakland–have even appointed chief resilience officers. New York is wrapping Lower Manhattan in a massive buffer called the Dry Line to protect it from storm surges. San Francisco published a Sea Level Rise Action Plan this summer. While big-budget blockbuster projects in major cities make the headlines regularly, informal settlements and low-income neighborhoods–areas that grew organically without traditional city planning–are also grappling with resiliency and instigating smaller interventions of their own. While they’re scrappier than their urbane counterparts, they hold valuable lessons. In 2014, Ideo.org (the nonprofit arm of the global design firm Ideo) and the U.K. Department for International Development embarked on a five-year partnership to develop a new model for aid projects. Called Amplify, the program is structured around 8 challenges, 6 of which have been announced: women’s safety, early childhood development, refugee education, agricultural innovation, youth education, and, critically, urban resiliency. “It’s applying design to the places where it’s most absent,” says Shauna Carey, the Amplify program director at Ideo.org. For the urban resiliency challenge, Amplify partnered with the Global Resilience Partnership, the Rockefeller Foundation, USAID, and the Swedish International Development Cooperation Agency to find and fund new projects that creatively tackle resiliency in informal settlement. From about 350 submissions, eight finalists were selected, including projects centered around communication (i.e., how to inform and educate residents in these areas about resiliency plans), small-scale infrastructure, and maximizing resources. For example, one group is retrofitting structurally unsound houses in the Philippines; another is building a mobile app to help residents in Indonesia connect and find what they need post disaster; while another is mapping informal settlements in South Africa to understand how best to provide basic services like water and ambulances. While the specifics of these projects aren’t necessarily directly applicable to developed cities–one project is using maggot cultivation to help solve an urban waste problem in Tanzania–the underlying strategies are relevant to all cities and places grappling with resiliency challenges. Here’s how. Flooding in Southeast Asia is one challenge the app AtmaConnect is tackling. “Improvisation and innovation are the hallmarks of informal communities,” Carey says. “They’ve been able to do a lot without access to formal support.” Tapping into the resourcefulness of individuals can yield innovative thinking when it comes to resiliency planning. In Indonesia, where one challenge winner, AtmaConnect, developed a mobile app to help neighborhoods better respond to floods. Originally launched in January 2015, the app has 90,000 users in Jakarta, Malang, and Lamongan. (Smartphones are widely used in lower-income areas of Indonesia since data is cheap.) Users can post information about shortages of food or water and share information about impending weather events or how to protect belongings in advance. They can also report things that officials might overlook. For example, garbage accumulation makes flooding worse, and AtmaConnect reported that when users logged instances of waste piling up in their neighborhoods, the government took action to clean it up. Meanwhile, in South Africa, the organization Shack/Slum Dwellers International is working to map informal settlements, which often don’t have formal maps. The goal? To figure out the best way to reconfigure them to allow for better circulation and easier access to services–including emergency access during weather events or disasters. As an Amplify winner, the organization is working with Ideo.org to figure out how to redesign these settlements with minimal disruption, and is inviting the residents to help with the project. “This is enabling the community to have a larger voice,” Carey says. Both projects leverage the engagement of individual users to make communities as a whole more prepared–an approach even large cities can borrow. Just as improvisational development has made gaining access to basic services like electricity and water a challenge, it has fueled the construction of structurally unsound buildings. Many homes aren’t built to withstand natural disasters, like earthquakes, floods, and hurricanes. This strategy–of planning for certain uncertainty–is especially visible in one winning project by the nonprofit Build Change in Manila, the Philippines. Instead of focusing on post-disaster relief–where a lot of aid money goes–Build Change proposes retrofits ahead of time to make poorly built housing stock stronger so that less damage happens in a natural disaster. Doing this involves teaching residents in these vulnerable areas about how to strengthen their homes, increasing awareness about the dangers of natural disasters, and developing solutions that adapt materials and skill sets that are already present. “It’s about shifting to preventative measures to help understand the right business models and service models to increase uptake in retrofits,” Carey says. Some formally planned cities are already taking similarly preventative steps toward resiliency. Recently, a city in Alaska voted to move rather than succumb to a climate change related disaster. The underlying idea: That any settlement–planned or not–will benefit from facing, and planning for, the inevitable. Ideo.org interviewed this chicken farmer in Tanzania as part of its Recycler project on how to manage domestic waste. Earlier this year, the Amplify challenge winners met in Nairobi, Kenya, to participate in a human-centered design boot camp to prototype their ideas. Now, they’ll embark on a year-long pilot study to test and refine the prototypes. This iterative approach, with a focus on small-scale interventions, is unusual when it comes to government projects. Developing and testing prototypes is a critically important part of any design process, but it’s often overlooked at the city scale. Still, it’s becoming more common in larger cities–Gainesville, Florida, is approaching civic improvements with a similar strategy.